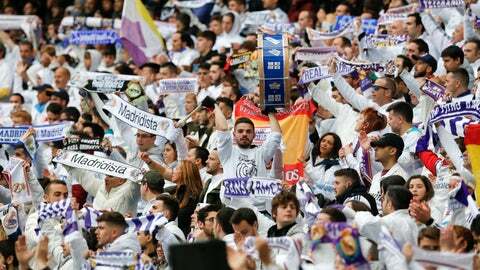 MADRID (AP) — Real Madrid says that it has secured financing worth 575 million euros (649.5 million dollars) to pay for the remodeling of its Santiago Bernabeu Stadium. Madrid says on Friday that the loan means the Spanish club will service an annual debt of 29.5 million euros from 2023-2049. The financing was structured by J.P Morgan and Bank of America Merrill Lynch with the collaboration of Banco Santander and Societe Generale, according to the club. Madrid announced the remodeling project last week. The 72-year-old Bernabeu will get a retractable roof and a revamped facade to modernize its appearance, including a 360-degree video screen.